The Chemex coffeemaker is a pour-over style of coffeemaker. The Chemex is designed to remove the coffee’s oils, creating a taste that you cannot get from other coffeemakers. The process only extracts the desirable part of the bean for brewing, leaving you with a delicious flavor. When choosing coffee for the Chemex, consider the roast first. Then, consider the coffee’s country of origin. Because the Chemex removes the oils that can make dark roasts bitter, it works well with all roast levels. It brings out flavors that you would not normally experience in darker roasts, while bringing out the body of the light roasts. Since the Chemex brings out the flavor in the coffee, it is a good idea to choose coffee that has some unique flavors. That way, you can enjoy all of the benefits of the Chemex. Coffee from Peru is an excellent choice when using the Chemex. Peru is known for making coffee with subtle flavors that really come out with the Chemex. Consider a dark roast if you really want strong flavors to come out. Pay special attention to the nutty and chocolaty tones, along with the citrus flavor. Because there are so many flavors in this type of coffee, you might notice something new with every sip. We recommend our Fair Trade Peruvian. Indonesia is known for its variety of coffee. If you own a Chemex, consider getting coffee from Indonesia’s island of Sumatra. This coffee has dried fruit tones and a nutty base. It also has a sweet aftertaste that lingers well after the last sip. These flavors really come out with the Chemex. In addition, the coffee emits a nice aroma of dried fruit and nuts will get your mouth watering and make you ready for your first cup of the day. Give our Fair Trade Sumatran Dark Roast a try. If you love citrus and spice, then some coffee from Ethiopia will be perfect for your Chemex. Consider getting coffee from the Sidamo region so you can enjoy lots of different flavors. While this coffee is normally light-bodied, it is even lighter when brewed with the Chemex. If you like a light-bodied coffee with lots of unique flavors, the Fair Trade Ethiopian Sidamo will be perfect for you. Mexico is known for exporting coffee with rich flavors. Those flavors are enhanced when the coffee is brewed in a Chemex coffeemaker. Mexican coffee typically has a sharpness to it. That sharpness is often more pronounced after going through a Chemex. Because of that, you can expect a little bit of a kick if you use Mexican coffee in your Chemex. If you like lots of flavors and a kick, you will love our Regular Roast coffee. 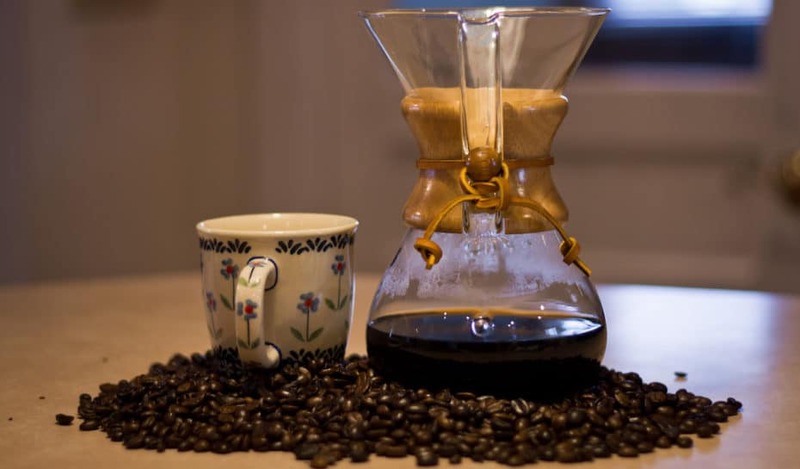 There is nothing quite like a cup of Guatemala coffee that has been freshly brewed in a Chemex. The Chemex brings out the smoky taste that Guatemala coffee is known for without being overpowering. The end result is a cup of coffee that is perfect for drinking first thing in the morning or after a meal. It will taste as if you grew the beans and roasted them right from your home, thanks to that delicious smoky taste. Our Guatemalan French Roast should do the trick! The Chemex is a great way to make a cup of coffee. While any type of coffee works well in the Chemex, some are better than others are. Go with coffee that has different flavors so you can truly enjoy your Chemex. You will taste flavors that you never noticed in your coffee before and you may even discover a new favorite type of coffee. 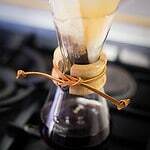 You will also learn to appreciate coffee more after you enjoy all of the flavors that a Chemex coffeemaker brings out. © 2001-2018 Clean Foods, Inc.